Operation Starlite was the first offensive military action conducted by a purely U.S. military unit during the Vietnam War. The operation was launched based on intelligence provided by Major General Nguyen Chanh Thi, the commander of the South Vietnamese forces in northern I Corps area. Lieutenant General Lewis W. Walt devised a plan to launch a pre-emptive strike against the Viet Cong regiment to nullify the threat on the Chu Lai base. Please visit www.operationstarlite.com A new website dedicated to preserving the history of that epic battle by providing factual accounts as offered by those that were there. The operation was conducted as a combined arms assault involving ground, air and naval units. 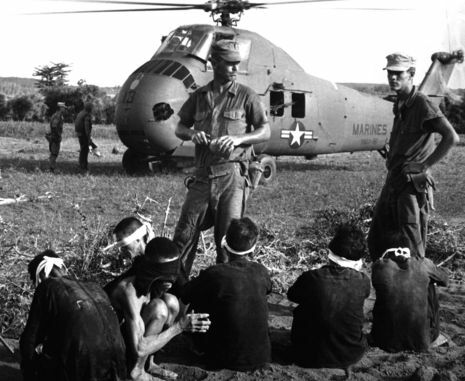 U.S. Marines were deployed by helicopter insertion into the designated landing zone while an amphibious landing was used to deploy other Marines. On August 15 the Marines received their first break. A deserter from the Vietcong 1st Regiment in-formed General Thi of a major build-up of enemy Maine Force units in the Van Tuong village complex, twelve miles southeast of Chu Lai along the coast. The VC goal was to achieve a great psychological victory by surprising the isolated marine base at Chu Lai in the first major engagement between American and enemy forces.